I had an amazing spiritual-financial mentoring session today with my best friend and extraordinary business leader Gary Salvit. We covered the basic yet powerful principles of financial abundance and discussed how easy these principles can be forgotten just because they are so simple. Any healthy tree with wonderful fruits needs strong roots. 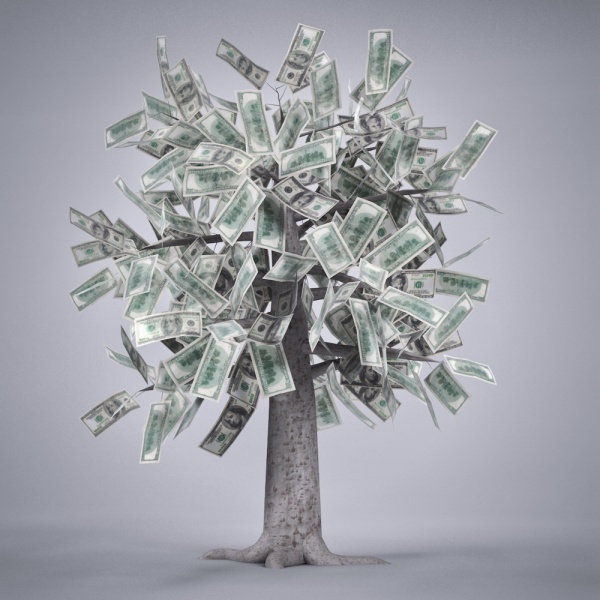 If your tree of money is not giving the fruits you are manifesting then it is time to check on your roots. 1. Giving back: There is no such a thing as too small a contribution when giving back. The ideal is to donate a minimum of 10% of every dollar you make to a charity or charities of your choice. Yet even if it is less than that, do it every week until you can give 10%. The secret to receiving is giving! Some people will say, how can I give back when what I have is not enough to cover my own expenses? Well you do not have enough because you are not giving enough. 3. Tracking your money: You MUST know how much money is coming in, out, when, where and how! Clarity is power! Tracking your money is honoring it. This means that you are grateful for each dollar God provides and that you are ready to open space for more! There are many money tracking systems, you can start with a pen and paper, QuickBooks, or even more sophisticated ones! No matter how you do it, you must remember that until you are managing correctly what you have now the universe will not give you more. 4. Learn every day: Your money tree will grow as much as you do! No matter how successful you already are, there is always space to learn more and you MUST. The EGO likes to be in it’s comfort zone; especially when you have accomplished a certain level of success. Do not allow it to fool you. The key is to surround yourself with people that have the results that you admire and are manifesting. There is also so much great information out there, whether free or for a fee; that will continue elevating your consciousness and your spiritual relationship with money. 5. Focus on your WHY: Ask yourself why you are manifesting more money. The universe won’t give you what you want, rather it will give you what you NEED to fulfill your destiny. It is crucial, and a human need for people to find and live their life’s purpose. Once you understand that financial abundance is just a vehicle to serve your mission, and it is your mission, not your money that will fulfill your heart; you will then be free to focus on living your legacy on this planet every day of your life. Focus on how many people you can serve doing what you love and the money will follow you naturally. This is a universal law. Posted on January 14, 2015, in Uncategorized. Bookmark the permalink. 1 Comment. Excellent advice for all to heed. Thank you!